One of the many reasons homeowners and businesses add awnings on their structures is to protect them from the elements when outside, like on a covered patio or porch space. 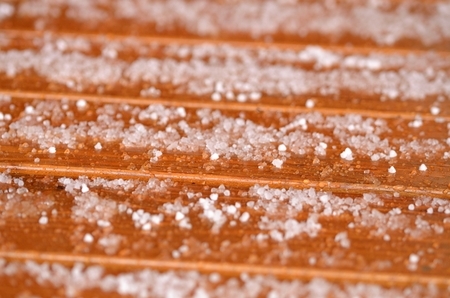 Sometimes that weather takes a turn for the extreme in the form of a hailstorm, which is known to cause damage to homes. That’s why it’s important to get the right material for your awning. The question is what is better: metal or fabric? When it comes to fabric awnings, there is no denying it does its job in shielding you and your family from the sun and rain, but hailstorms are obviously another story. If you have ever seen a fabric awning, you might have noticed there is a little bit of give to their movement. When the wind kicks up, the fabric usually flows with it and settles back down once the gust has passed. When a hailstorm rolls in, the hail is going to hit it, but there will be some give. The hail might in fact even bounce off the fabric and fall on to the ground below. On the other hand, if the hail is quite large, the fabric might not be strong enough to withstand the punishment and end up ripping or having a hole punched in it. Obviously, a metal awning is stronger than fabric because the material is naturally stiffer and more durable. While a fabric awning might give a little and bounce hailstones away, a metal awning will stay put. The only problem with that is when hail becomes heavy and falls fast, it can dent the awning. This will result in the awning having a worn down look that isn’t very appealing and can require extensive metalworking to repair. Hailstorms are always problematic for more than just awnings, and selecting an awning involves more than considering just the potential for freak extreme weather. Awnings offer a wide range of benefits, and if you’re in the market for an awning, let the experts at JM Finley help you find the right one. We offer awnings made of fabric and metal to help keep you, your family or your customers protected in the elements, and can discuss your building’s unique considerations with you to decide what the best choice is for your home or business. For more information, give us a call today at 610-505-5907!